Ships today if you order in the next 8 hours 34 minutes. 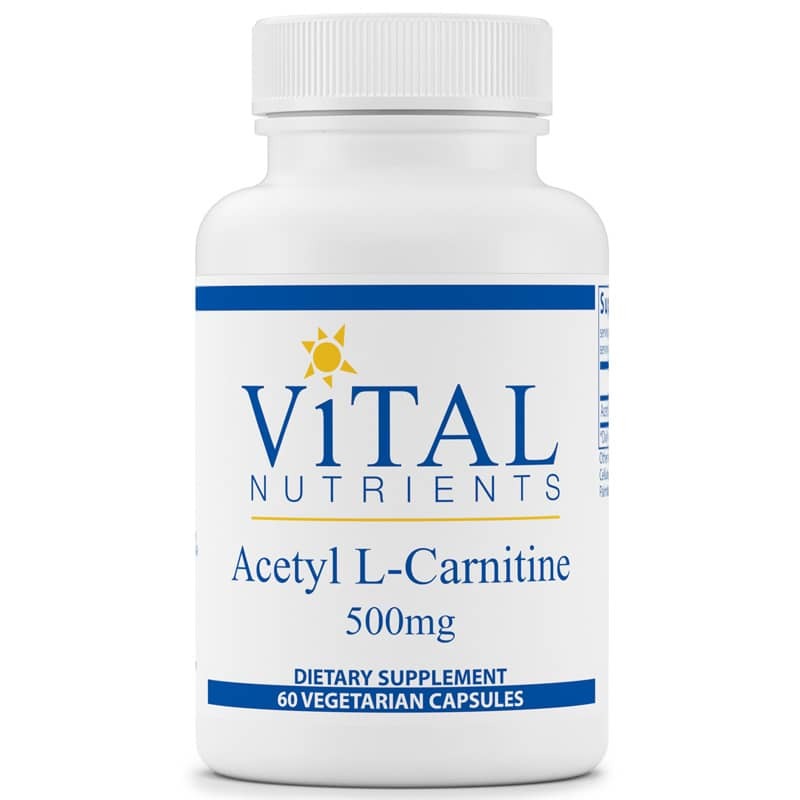 Acetyl L-Carnitine by Vital Nutrients is a natural brain and memory support supplement that contains 500mg of acetyl l-carnitine per capsule. 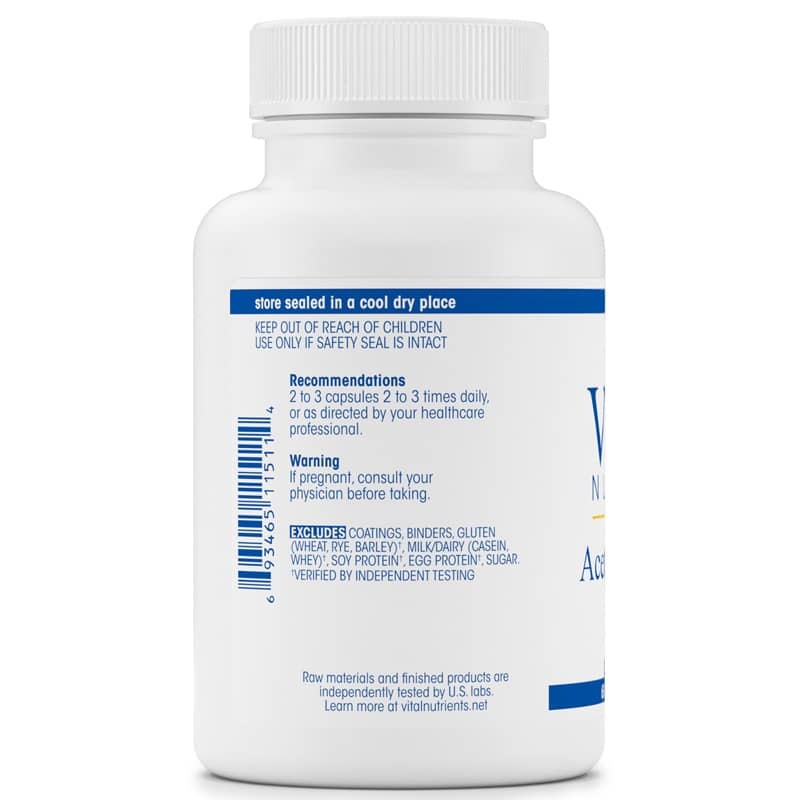 Other Ingredients: vegetable cellulose capsule, cellulose, magnesium cilicate, silica, ascorbyl palmitate and leucine. 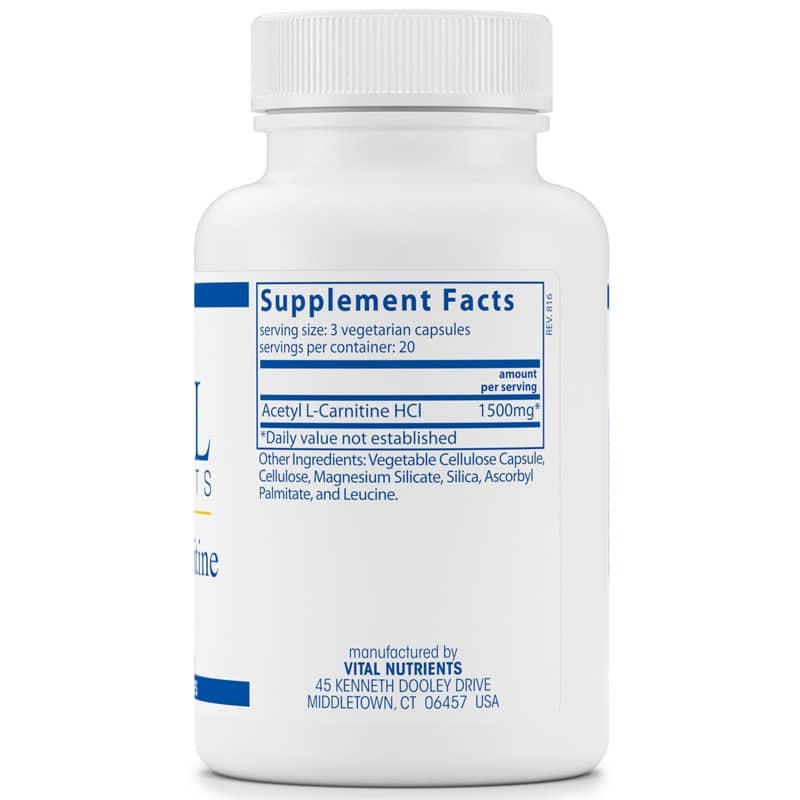 Adults: 2 to 3 capsules 2 to 3 times per day, or as directed by a healthcare professional.